What’s Next for LPL, Marcato & Casady? With activist investor Richard McGuire snapping at its heels, the independent broker-dealer may have to up its game. The IBD is led by Mark Casady. LPL Financial (LPLA) experts share regular forecasts on market trends and strategy. These days, outsiders are busy predicting what could happen over the next year or so two weeks after the hedge fund group Marcato Capital took a 6.3% stake in the independent broker-dealer. UBS downgraded its rating on LPL last week, helping to push its stock price down to about $36. It now trades near $39, down from its 52-week high of roughly $48. “LPL’s stock price has languished,” said Chip Roame, head of Tiburon Strategic Advisors, a research and consulting group. That downward trend in its equity price may have prompted Marcato, which is led by Richard McGuire, to pounce. That raises more questions, he says: “Would Wells Fargo Corporation or UBS buy up LPL?” Perhaps, but LPL also has the ability to recapitalize itself, since it has limited debt, Roame points out. 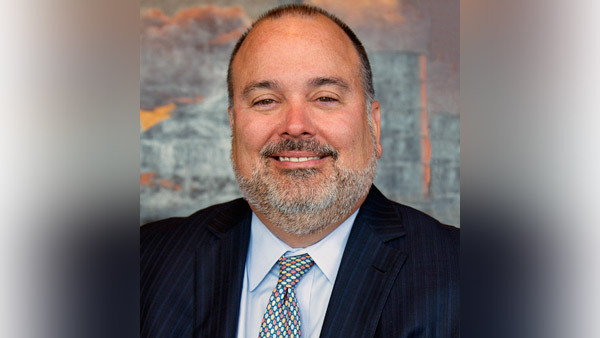 What the future holds for LPL Chairman and CEO Mark Casady is attracting a lot of conjecture these days. Others are more critical of Casady. His “glory days were before they went public, during their growth phase,” says recruiter Jon Henschen. Since the IBD went public, it has seen “an almost continuous flow of litigation that is concentrated in REITs and leveraged ETFs,” explains Henschen. Most certainly, McGuire will push for stronger returns. Right now, LPL’s sales have a five-year growth rate of 9.7%. Its earnings have a five-year growth rate of 30%, according to Reuters data. Meanwhile, its price-to-earnings ratio is 21. Its pretax margin stands at 7% for the past 12 months and 5.5% as its five-year average. Rival broker-dealer Raymond James (RJF), by comparison, has a PE of 14.6. Its pretax margin is 15% on a 12-month basis and 13% on a five-year basis. Plus, when interest rates rise, LPL and other BDs “should generate more revenues and profits quickly,” he states. What should Casady and other LPL executives do? Of course, McGuire and Marcato don’t have the friendliest of reputations. McGuire pressured NCR for weeks to give him a board seat, for instance, and was successful. The hedge fund manager, though, has not been able to get the Bank of New York Mellon (BK) to push out CEO Gerald Hassell. — Check out AIG Advisor Group Is ‘Island of Stability’ in BD Space: Exec on ThinkAdvisor.